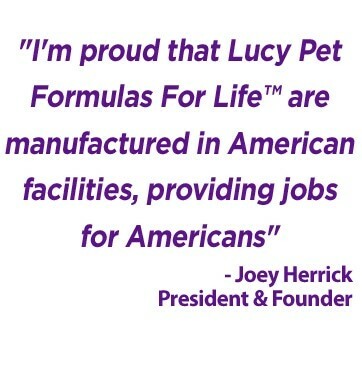 Lucy Pet Formulas for Life™ are complete and balanced. The information provided on individual ingredients is to assist you in understanding what is in our formulas. 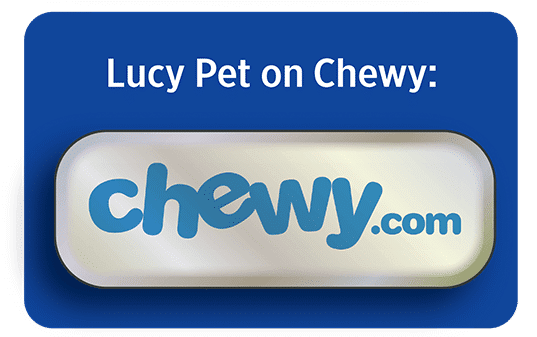 The combination of our high-quality ingredients, combined with our specialized vitamin/mineral premix blends are what contribute to the diets that we are so proud of for your pet. Biotin- Water-soluble, the essential B-complex vitamin that is part of enzymes essential for healthy metabolism. Calcium iodate- A source of iodine, which helps the thyroid gland function properly. Carrots- A good natural source of important vitamins and minerals to help support the immune and digestive systems. Carrots may also help support proper skin and eye health. Chickpeas- A legume vegetable also known as garbanzo beans. Chickpeas are rich in protein and complex carbohydrates, including starches and fibers. Chicory root extract- The chicory plant root is a source of fiber. It is considered a “prebiotic” because it helps feed the gut bacteria to help to maintain a healthy digestive environment. Chicken fat- A highly palatable source of energy that helps achieve the proper fatty acid profile necessary for a healthy skin and coat. It also contains a small amount of arachidonic acid, a fatty acid that cats cannot produce on their own. Our chicken fat is preserved with mixed tocopherols to maintain freshness. Chicken meal- A high quality, chicken protein with moisture removed that is a more concentrated form of the chicken protein and has a significant source of calcium and phosphorus and other minerals. It provides essential amino acids and fatty acids, vitamins, and minerals for muscle development and energy. It is made by cooking chicken to release the fat and water, which creates a concentrated, highly digestible protein source. Choline chloride- A source of the B-complex vitamin, choline is necessary for energy metabolism and proper nervous tissue function. Citric acid (preservative)- A naturally sourced antioxidant derived from microbial fermentation. Copper proteinate- A source of the essential trace mineral, copper. This mineral is combined with amino acids to help absorption and assimilation of mineral. Copper is essential for the normal formation of hemoglobin and for coat color. DL-methionine- Methionine is an essential sulfur-containing amino acid for both dogs and cats to build proteins in the body. Duck- High-quality duck responsibly raised in France and USA. Contains no duck by-products. A highly palatable source of protein. Duck fat (preserved with mixed tocopherols)- Is a source of energy and key fatty acids including arachidonic acid. The fatty acids in duck fat are vital to skin and coat health. Duck meal- A high-quality meal that is made by cooking duck to remove moisture and is a more concentrated form of the duck protein. It provides essential amino acids and fatty acids for muscle development and energy. Fish oil- See salmon oil. Flaxseeds- While used in a small quantity, they contribute protein and alpha-linolenic acid to the diet to help support a shiny coat. The fiber in flaxseeds also aids in the movement of food through the digestive system. Folic acid- A water-soluble B-complex vitamin that helps break down amino acids and make DNA. Folic acid is synthesized by the bacteria of the large intestine in dogs and cats. Iron proteinate- A chelated source of the essential trace mineral, iron. The iron within “iron proteinate” is highly available. Iron is a key nutrient in the maintenance of hemoglobin in the blood. Dried Kelp- Not all kelp is the same. It is an excellent natural source of iodine and provides beneficial fiber. Our kelp grows naturally off the shores of Nova Scotia, Canada and is manually harvested to guarantee the sustainability of this valuable marine resource and protect its ecosystem. We use the specific kelp species “Ascophyllum nodosum” because it has consistent qualities and is safe, free of contaminates, and non-toxic. Contains polysaccharides to help pets maintain gastrointestinal tract health and helps when their system is challenged or stressed. Our kelp also naturally contains phlorotannins and polyphenolic compounds. 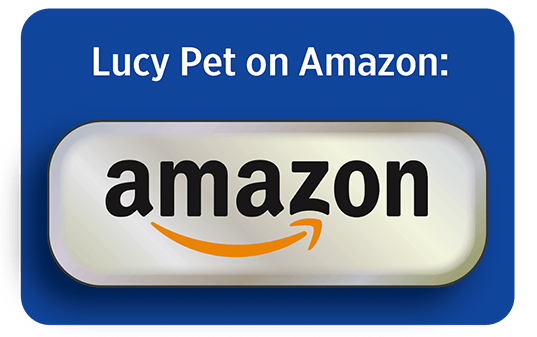 L-ascorbyl-2-polyphosphate- A stable source of vitamin C which is critical for the vital metabolism in dogs and cats. As a powerful antioxidant within the body, it may help reduce oxidative damage from free radicals. L-carnitine- A compound derived within the body from amino acids found in animal-based protein, L-carnitine helps with fat metabolism. It helps carry fatty acids and their derivatives into the mitochondria so they can be converted into energy. Manganese proteinate- A chelated source of the essential trace mineral, manganese. The mineral plays important roles in the structure of enzymes and bone development. Miscanthus grass- A non-GMO, perennial warm-season plant grown and harvested in the USA. It is one component of our exclusive P.B.F Prebiotic Balanced Fiber blend because it is an excellent source of fiber not commonly used in pet foods. Fiber is essential for a healthy digestive tract, and we utilize miscanthus grass to compliment our variety of fibers to achieve prebiotics in the gut. Mixed tocopherols (natural preservative)- Mixed tocopherols are complex molecules that are used as an antioxidant in the product to stabilize fats and prevent them from becoming rancid. Niacin- A water-soluble, B-complex vitamin that helps process protein, carbohydrates, and fats, as well as supports healthy nervous system and brain function. It is also an important part of a healthy gastrointestinal tract to aid digestion of and assist in the formation of red blood cells. Peas- are an excellent source of Protein, Fiber, Niacin, Vitamin B6, Vitamin A, Folate, Phosphorus, and Potassium. We start with fresh, green peas and dry them for production. Potassium chloride- A water-soluble form of the essential minerals potassium and chloride. It is important in helping the pet maintain proper acid-base balance. Potatoes- Sourced from the EU & USA. Made from premium quality whole, fresh potatoes, and then dried. These grain-free carbohydrate sources supply sustained energy. A good source of dietary fiber, vitamins, and minerals. Prebiotics- Prebiotics are a category of food fiber for the bacteria that live in your pet’s digestive tract. We use a special blend of fibers that bacteria in the gut can break down. The gut bacteria ferment the fibers to generate nutrients for absorption. In short, prebiotics support the growth and activity of bacteria to help maintain health. Pumpkin- A member of the squash family of plants. A delicious nutritional powerhouse with fiber and protein that helps aid in healthy digestion. Pyridoxine hydrochloride- An essential B-complex vitamin also known as vitamin B6. Pyridoxine is involved in more than 100 reactions, especially ones with amino acids and proteins, but many others as well. Quinoa- (Pronounced keen-wah) A high quality, digestible seed rich in protein, containing essential amino acids. Riboflavin supplement- An essential water-soluble B-complex vitamin, riboflavin works in enzymes that are part of reduction-oxidation processes, including those in blood. Salmon- High quality responsibly sourced Wild Alaska Salmon. An excellent source of high protein using the whole salmon meat. A good source of long chain Omega 3 fatty acids, which are critical for healthy skin, coat and proper body function. Salmon Meal- A dried and more concentrated form of the salmon. It provides essential amino acids and fatty acids for muscle development and energy. It is made by cooking salmon, which creates a concentrated, highly digestible protein source. The salmon used to make the salmon meal is Wild Alaska Salmon. Salmon Oil- High in long-chain Omega 3 fatty acids, specifically EPA and DHA. Salt- Supplies sodium and chloride, both essential minerals to help maintain and regulate water and acid balance in the body, assist in muscle contraction and nerve transmission. Sodium selenite- A source of the essential trace mineral selenium to regulate the body’s water balance. Sodium selenite does not contribute any significant amounts of sodium. Sweet Potatoes- Sourced from the USA. Made from premium quality, whole, fresh sweet potatoes, and then dried. These grain-free carbohydrate sources supply sustained energy. A good source of dietary fiber, vitamins, and minerals. Taurine- An amino acid-like compound, key for the proper functioning and health of the eyes and heart. It is required by cats and kittens. We also add this to our dog diets. Thiamine mononitrate- A water-soluble B-complex vitamin, also known as vitamin B1. Thiamin plays a key role in helping your dog metabolize energy. Turmeric- A flavorful herb derived from the roots of the Curcuma longa plant, a member of the ginger family. Curcumin, believed to be a powerful antioxidant, is one of the important constituents of turmeric. Vitamin A supplement- An essential fat-soluble vitamin required in the diet that supports healthy vision, growth and the immune system. Cats particularly need vitamin A since they cannot utilize carotenoids like beta-carotene. Vitamin B12 supplement- An essential B-complex vitamin for dogs and cats. A key part of enzymes that metabolize amino acids and some fatty acids. Vitamin B12 works with folic acid to regulate red blood cell formation. D-calcium pantothenate- An essential water-soluble vitamin which helps to synthesize and metabolize fats for energy. Vitamin D3 supplement- An essential fat-soluble vitamin. It supports healthy skin, bone, connective tissue and heart, nerve and muscle control. It is necessary for the proper absorption and utilization of calcium. Vitamin E supplement- An essential fat-soluble vitamin. Vitamin E (alpha-tocopherol) is a powerful antioxidant nutrient within the body, which reduces free-radical damage to cell walls. Yucca schidigera extract- A flavorful extract made from the desert plant Yucca Schidigera. Zinc proteinate- A highly available chelated trace mineral, critical for proper maintenance and enzyme function to support coat, skin and wound healing.